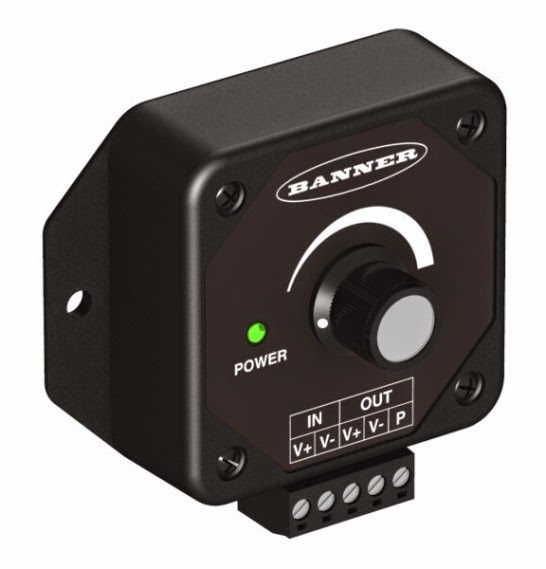 The Banner LC65 Dimming Module allows you to control the intensity of several Banner LED lighting products. High frequency pulse with modulation allows for precise intensity control and flicker free illumination. Banner's LC65 Dimming Module can help the sustainability of your process, decreasing the amount of energy expelled by a high volume source, such as lighting. The reduced energy costs can prove to be a substantial benefit in the long run. The Banner LC65 works with the following Banner LED lights: WLS28-2, WLC60, WLA, WL50S, WL50-2, WLC90. For more information, download the literature HERE.